The following community resources are relevant to those facing cancer and are available in your community or across Canada. Brain Tumour Foundation of Canada is a national, not-for-profit organization dedicated to reaching every person in Canada affected by a brain tumour with support, education and information, and to funding brain tumour research. 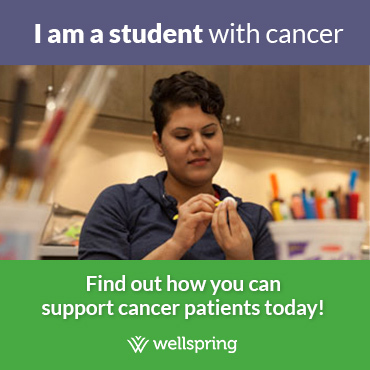 Caring Voices is an online community for individuals coping with cancer. Caring Voices can be used to access current resources, learn about upcoming survivorship events, take part in chats and discussions and meet other survivors. A cottage lending program to benefit cancer survivors and celebreate recovery with family and friends. Lung Cancer Canada’s sole mission is to raise awareness, provide patient focused information and offer peer support to everyone touched by lung cancer. At Pro Health Navigators Canada, we fill the gaps in the system by walking with you during your journey and ensuring you get the best possible care when you need it the most.Our role is to work with your healthcare providers to ensure you understand medical jargon and confusing terms, forms or rules to you.